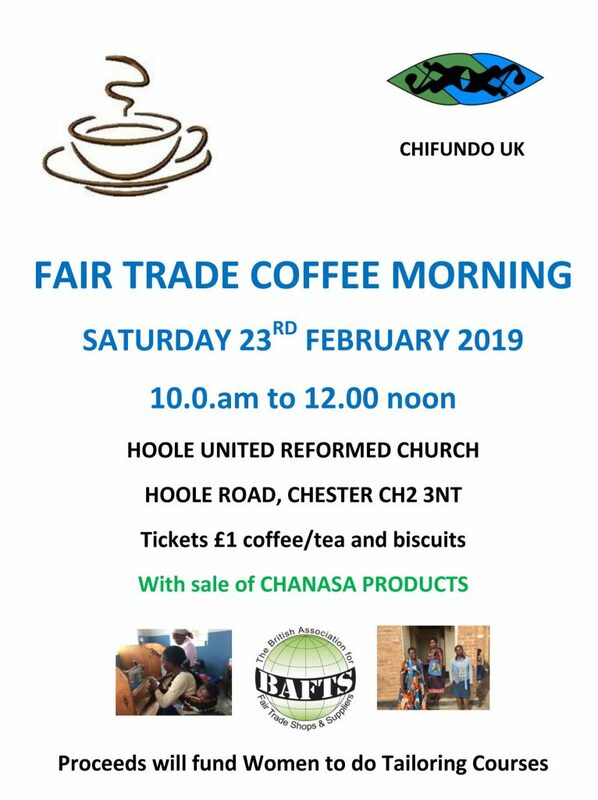 Organised by Chifundo UK. Tickets £1 coffee/tea and biscuits. Proceeds for women’s tailoring courses in Malawi.